If you love food and eating out (and if you’re reading this, then I’m sure you do), you’ll no doubt be familiar with the Chinatown precinct in Sydney’s CBD. You could eat at a different restaurant in Chinatown for years and still not get around to every single one. 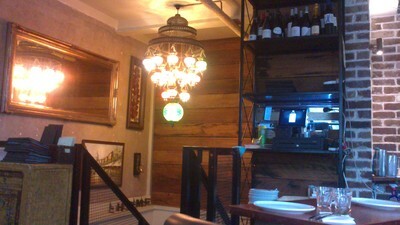 The more you walk around, the more enticing restaurants you discover. My wife and I went one evening while it was in its Thai restaurant persona. We love Thai food, and this place didn’t let us down. The menu is well designed - not your typical Thai restaurant menu, and has a very nice choice of meals. There are soups and curries, salads and mains with noodles and stir fries, all of which looked impressive enough to want to go back. 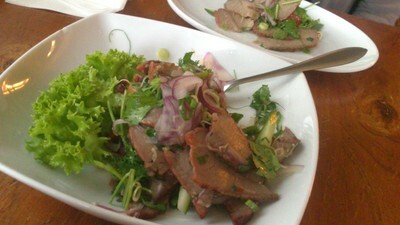 We had the Marinated Beef Salad that had a bit of punch with some chilli, as well as that mouth tingling flavour of lemongrass and coriander. Delicious. 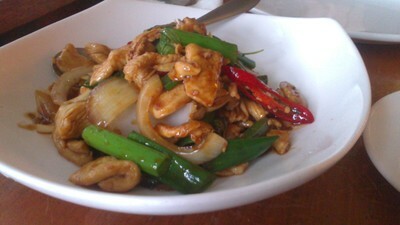 We also had a Chilli Basil Chicken, which was tender and thankfully not overloaded with onions. The kitchen is positioned at the back of the upper level behind a clear glass window, although our table was not really near it. The windows were open to allow some fresh air in the place. Strangely, the plates tended to stick to the tables. The service was very attentive, however I did notice the staff had a discussion after I pulled out my notebook. If you want good service at a restaurant, nonchalantly start jotting down notes. 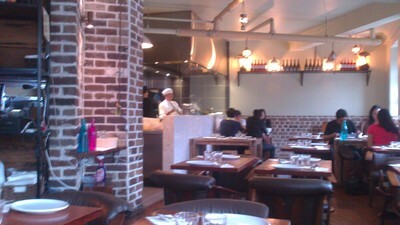 The music was not intrusive and the décor is quite understated for a Thai restaurant, with lots of wood and bare brick. This seems to be one of the talking points about Home. 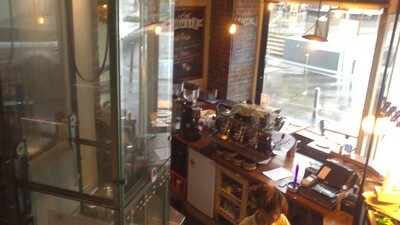 There are about 15 small tables upstairs. I can certainly recommend the Thai food at Home. 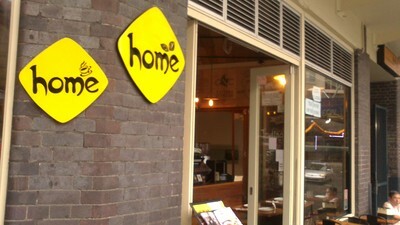 When: Café - Mon-Sat 7:30am - 4pm, Breakfast Mon-Sat 7:30am - 12pm. Restaurant: Lunch Mon-Fri 11am - 3pm, Dinner Mon-Thu & Sun 5pm - 11pm, Fri & Sun 5pm - Midnight.